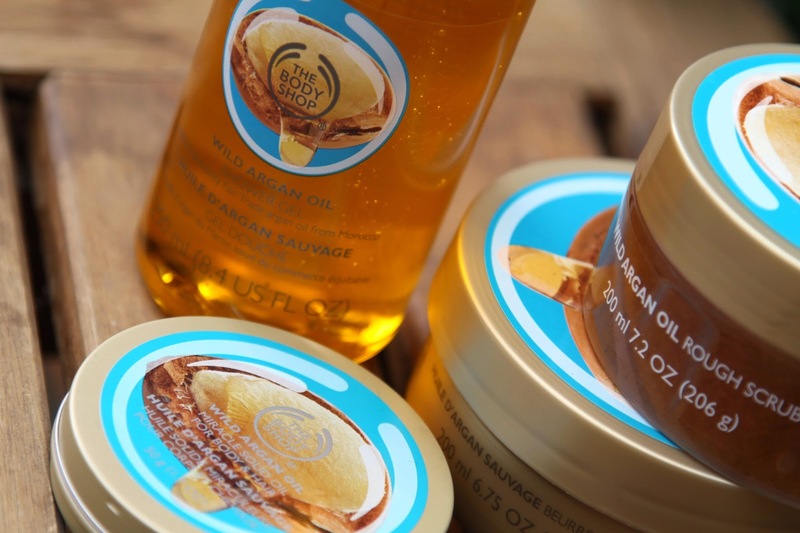 So it’s been a couple of weeks now since I went to The Body Shop Wild Argan Oil Bloggers Event (and breath), which was amazing can I add… and I thought it was time to do a little run through of some of the products in the range that I was very kindly given to test and try. Since the event, I have took a trip to my local Body Shop in Middlesbrough and purchased extra products from the range including the Lip Balm which is one of the best I have ever tried, and the lotion. Now, back to the goodies in the picture above. Lets start with the Shower Gel. I love a good Body Shop shower gel and I have to admit this is one of my favourites, lets just throw this out there.. the whole range is my favourite collection The Body Shop have in store at the moment. I have always been a fan of the Argan scent and this has just topped my senses off. The shower gel is light and emulsifies really well. I’ve also been using this as a ‘bubble bath’ by squirting some into the running water as my bath is filling. It bubbles up fast and leaves the water smelling divine. You can pick this up for only £4 which I think is brilliant for the size and quality of the shower gel. Next is the Body Scrub. I love a good body scrub but if you have read my previous posts you’ll know I’m very particular about them. They can’t be too rough otherwise my skin flares up and goes all rashy and red. 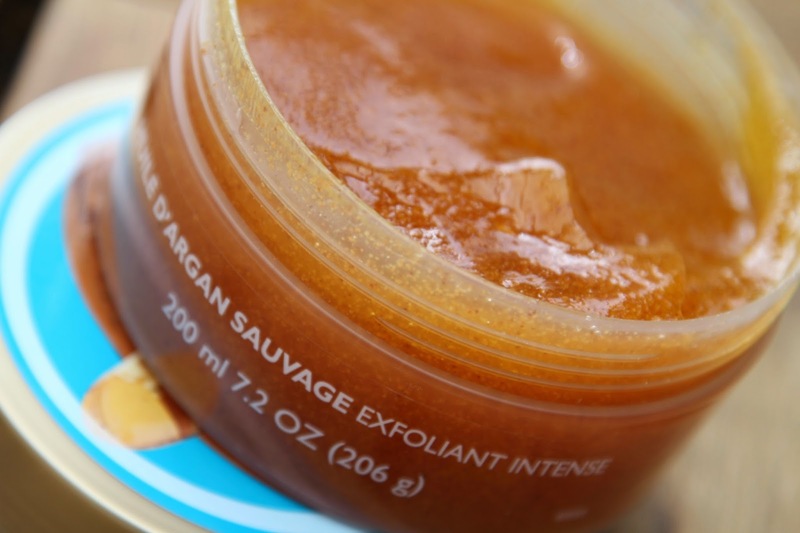 This scrub however is perfect in every way. It smells amazing, exfoliates in the right way and doesn’t irritate my skin one bit. Did I mention it smells amazing? Costing £13 it’s a little pricy but is well worth the purchase. You also don’t need a lot to use this so it will go a long way. The next two are product for use after your bath/shower. Ill start with the Body Butter. The Body Shop are very well known for their body butters as they are very creamy and smell delicious. This has to be by far, again, my favourite out of the lot of them. It has a long lasting subtle scent that stays on your skin all day and can even be smelt the following morning. This is the same price as the scrub at £13 but The Body Shop usually has an offer on if you buy two you can get money off. Again, these butters last a very long time and are perfect for taking on holiday for keeping your skin moisturised and hydrated. 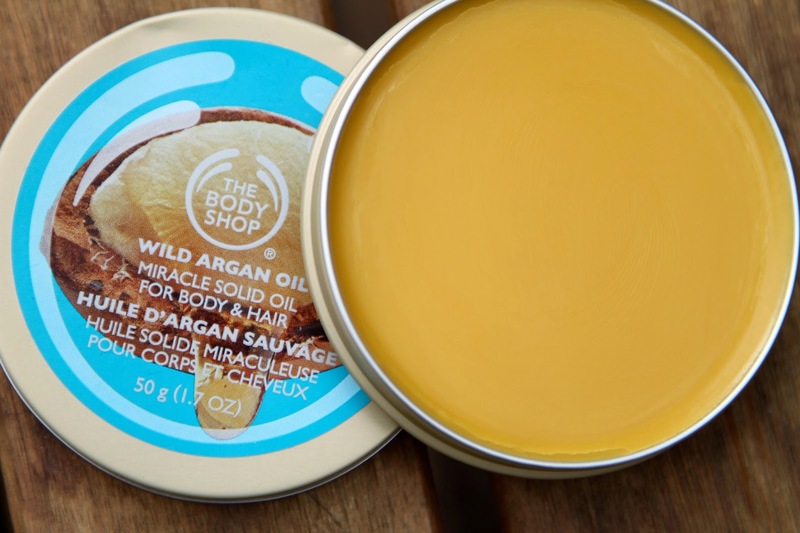 Last but not least, The Argan Miracle Solid Oil. This is something I’ve never came across before and when the lovely ladies at The Body Shop were explaining how to use this, it really interested me. 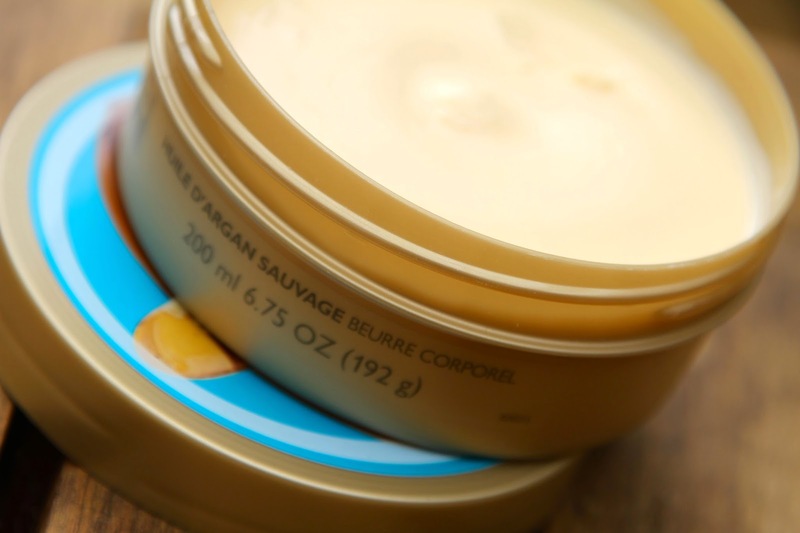 It’s used to soften harder areas of the skin such as heels, elbows and knees. Using this was a weird experience but it gave fantastic results especially around the harder skin on the bottom of your feet. This is a saviour product for me and I can imagine it being great for girls who are wearing high heels and suffer a little from dry skin around your feet and toes. This range is brilliant and is one of the best things to come to The Body Shop in a long time! I highly recommend anyone who hasn’t yet tried this product to head down to their local store and give it a go or themselves! 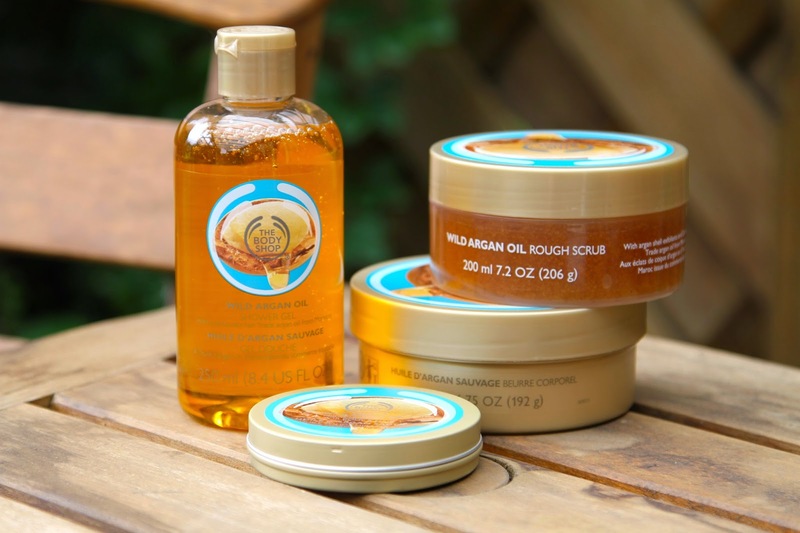 Have you tried the Argan range yet?